The international Club is an association which offers support to international students, composed of voluntary IÉSEG students who studied abroad, and which is present on both Lille and Paris campuses. 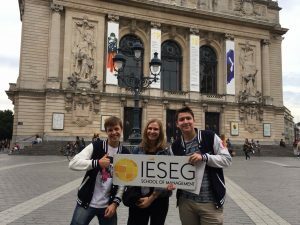 The International Club is the association at IÉSEG charged with welcoming and facilitating the integration of international students within the school. 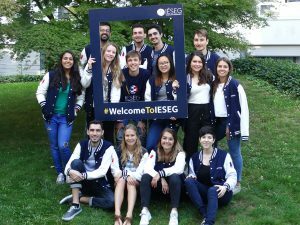 Every year, nearly 2300 international students, representing more than 100 nationalities, integrate different programs on both of the IÉSEG campuses. 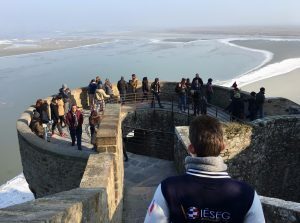 In order to allow students to enjoy their time spent in France as much as possible, the International Club organizes events and trips during the year. It enables the international students to discover French culture, and to meet other students (French and international). In addition, the International Club organizes an integration week and several galas. The student association, composed of two teams, with 23 members in Lille and 18 members in Paris, volunteers to answer questions and assist other students with administrative and personal issues throughout their stay. Do not hesitate to contact them by sending an email to clubinternationallille@ieseg.fr (for Lille Campus) or clubinternationalparis@ieseg.fr (for Paris Campus).